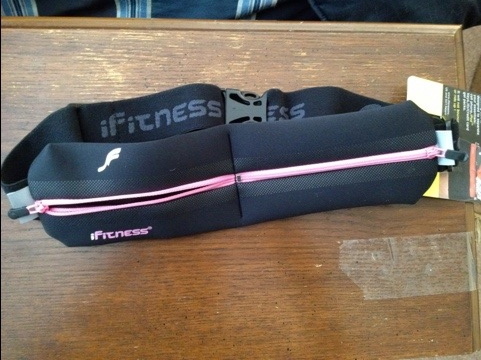 A few years ago when I was at the Cap 10K expo, I saw these fantastic running belts. I was always looking for somewhere to put my phone when I went for a walk and this seemed like the perfect solution! I was right! I bought my first belt that day. I got a black one with a blue zipper, so that Mike and I could share. When I took it over, I realized I needed to buy another one. I bought one for me that had a pink zipper. Since then, I have referred several of my friends to get them and I’ve bought them as gifts. My friend, Kim, bought one that had a double pouch and I’ve always been a little envious because she can put her keys AND her phone in it when she walks. Well, my dog ate my belt, so I decided to order my own double pouch iFitness belt. I’m so excited and can’t wait to go out for my first walk today!! Yes!! They are great! It’s really going to come in handy when I go to Town Lake! You are famous!! This blog is excellent. I hope your blog will be famous.